In this truly one-of-a-kind book, Ascher introduces the mathematical ideas of people in traditional, or "small-scale", cultures often omitted from discussion of mathematics. Topics such as "Numbers: Words and Symbols", "Tracing Graphs in the Sand", "The Logic of Kin Relations", "Chance and Strategy in Games and Puzzles", and "The Organization and Modeling of Space" are traced in various cultures including the Inuit, Navajo, and Iroquois of North America; the Inca of South America; the Malekula, Warlpiri, Maori, and Caroline Islanders of Oceania, and the Tshokwe, Bushoong, and Kpelle of Africa. As Ascher explores mathematical ideas involving numbers, logic, spatial configuration, and the organization of these into systems and structures, readers gain both a broader understanding and anappreciation for the idease of other peoples. 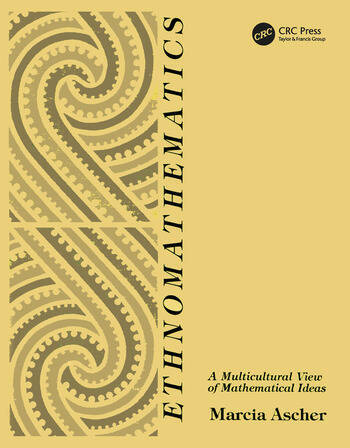 "A splendid book, well worth reading, using in courses and loaning to friends who think they don't like mathematics."